What is Head of Production? What Duties A Head of Production? Now I see a brief explanation follows. Head of Production or the Head of Production is a position that is responsible for all issues relating to the production of a company. A head of production Production is coordinating the work under it to work the jobs description of each worker. Head of Production must have strong leadership skills and good communication and be able to build a team that can work together, A Head of Production is also required to have a spirit of leadership, highly motivated and dynamic, loyal and responsible. Deft in maintaining product quality. Monitor and evaluate all production activities in order to determine deficiencies and irregularities / errors that can be improved for the next activity. 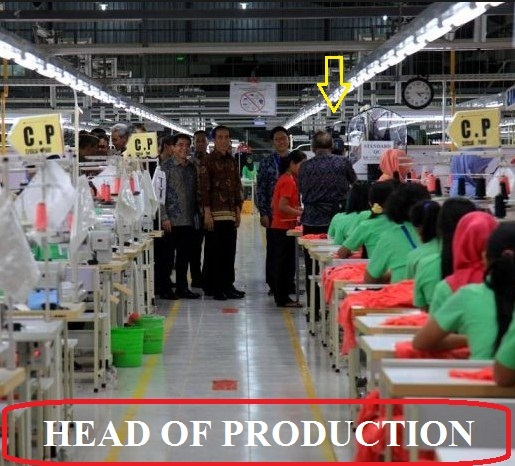 Belum ada Komentar untuk "Jobs Description A Head of Production"